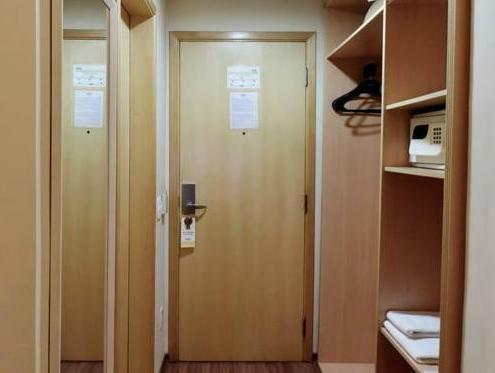 Hotel Matiz Guarulhos Aeroporto는 과룰류스 국제공항에서 7km, 상파울루에서 17km 떨어져 있어 이동이 편리합니다. 호텔은 주차장과 무료 WiFi를 비롯하여 현대적인 객실, 레스토랑, 피트니스 짐을 갖추고 있습니다. 매일 조식을 무료로 즐겨 보십시오. Hotel Matiz Guarulhos Aeroporto의 객실은 밝은 인테리어와 다채로운 현대식 그림으로 꾸며져 있으며, 에어컨, 케이블 TV, 라디오, 전화기를 갖추고 있습니다. 일부 객실에는 LCD TV와 전기 주전자가 포함되어 있습니다. 24시간 룸서비스도 제공됩니다. Rick´s Restaurante & Bar는 중식과 석식으로 일품요리와 뷔페식 요리를 제공하며, 매주 각각의 요일마다 색다른 메뉴를 선보입니다. 해당 레스토랑에서 페이조아다 콩 요리 같은 브라질식 특선 요리와 이그조틱 칵테일을 즐겨 보십시오. 호텔은 과룰류스 국제공항까지 왕복하는 24시간 무료 교통편 서비스도 제공합니다. 체크아웃 이후, 투숙객은 계속해서 호텔의 주차장을 유료로 이용하실 수 있습니다(자세한 내용과 일정을 위해 호텔로 문의바람). Please note that the property will be going through renovation works. During this period, guests may experience some noise or light disturbances, and some hotel facilities and services may not be available. Please contact the property for further details. Guests must inform the hotel in advance if they would like to take the free shuttle from the airport to the hotel. The hotel accepts small pets up to 5 kg. Please note that this property charges an optional tourism fee of BRL 2 per night. management should review room assignment to guest if there is upgrading work going on. Decent hotel nearby airport with free airport shuttle, fair cleanliness, love the breakfast esp. scramble egg! Construction going on my floor and couldn't sleep at all due to the noise and smell of paint. Not neat room and bed was small. Felt itchy. Bad experience. Stayed at Hotel Matiz Guarulhos for one night with a group of friends. This hotel is very near the Sao Paolo airport and we chose it because we needed to rest after flying 25 hrs into Sao Paolo and we were going to fly to Cusco the next morning. Check in was a tad slow, thought we didn't really mind since the TV in the hotel lobby was screening a live world cup game (can't remember which game now). Room was clean and the shower facilities worked fine. As our flight to Cusco in the morning was a pretty early flight, we only took a bit of the breakfast but the spread looked decent. Close to airport, practical and not expensive. I had to stay overnight in Sao Paulo and was arriving after midnight. Tired and not wanting to risk driving into S.P. late at night it was originally a least bad option. However, the hotel is a pleasant surprise. It is quiet and clean and the staff are very friendly and helpful. I arrived well after midnight and in no time I had checked in and was in my clean comfortable bed. The following day proved that the choice of hotel is perfect if you only need this. Thanks. Served it's purpose which was somewhere to stay overnight close to airport. Adequate room and decent breakfast (very brief stay). Hotel have hourly transportation to and from airport which is very convenience even though you come or leave very early or late. Hotel site is very much far from city, we cannot go to anywhere, only taxi for traveling to another place. Only people who stay overnight for next flight to stay. 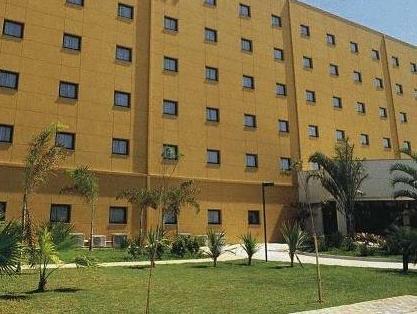 Matiz Hotel is a not expensive option very close to the airport with airport transfer. That's pretty good and effective for those that want to take a rest between flights. i was in sao paulo for business trip and just stayed for one night to catch the next day early connection flight. the hotel is close to the airport and they have free scheduled shuttle bus which is good and free wifi in the lobby. room is....i won't complete about it cause it's only for 1 night. at least it's nice & tight. food in the restaurant is ok and not expensive for the dinner buffet. staff are friendly & basic english communication is ok for them. it's nothing around the hotel as it's located in the industrial area. 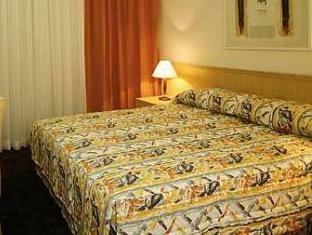 The hotel Matiz is an excellent choice for a hotel stopover near Gurulhos airport. It has an excellent free shuttle service that runs every 30 minutes. 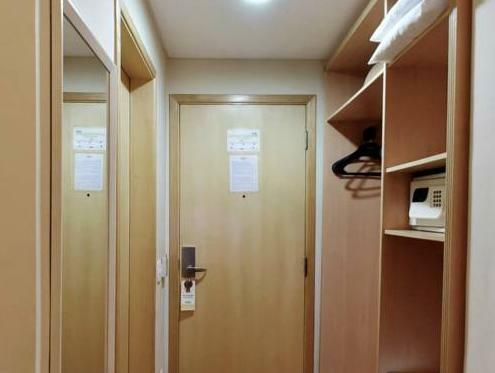 The rooms are large, clean with good showers and air conditioning. The buffet dinner was good value for money. The hotel is one you would only use for a one night stop over as it is in the middle of an industrial zone - no shops restaurants etc.